A meeting in the framework of the World ATM Congress in 2019 in Madrid was held between the Director of “Azeraeronavigation” Air Traffic Control (AZANS) Mr. Farhan Guliyev and Vice-President of SITA Stephan Egli - the leading organization in the sphere of communication and information technologies in aviation industry. Heavy fog in Baku didn’t affect the operation of the Heydar Aliyev International Airport, Trend learned from the airport March 7. 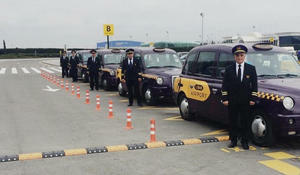 From now on, only one taxi company, Baku Taxi Service LLC, will serve local residents and tourists at the Heydar Aliyev International Airport, Trend reports referring to the Ministry of Transport, Communications and High Technologies. 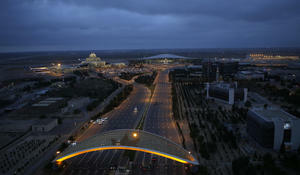 Heavy fog in Baku didn’t affect the activity of the Heydar Aliyev International Airport, the airport told Trend Jan. 21. 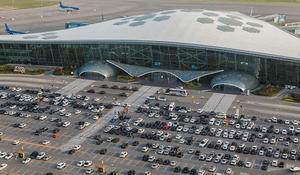 Heydar Aliyev International Airport set a new record for passenger traffic volume - last year it served a total of 4.43 million passengers. This is 9 percent higher than in 2017. 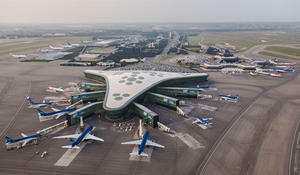 During eleven months of 2018, Heydar Aliyev International Airport served 4.1 million passengers. This indicator exceeds the same indicator of the previous year by 9 percent. 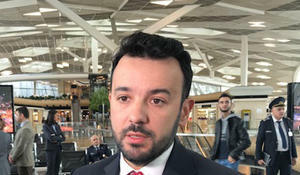 Heydar Aliyev International Airport in Baku, the capital of Azerbaijan, can serve as a hub to bring tourists from the Caspian region into Spain, Charge d'affaires ad interim of Spanish embassy in Baku Ignacio Sanchez Taboada told Trend. 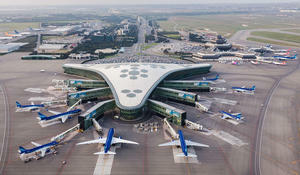 During the first ten months of 2018, Heydar Aliyev International Airport served a total of 3.8 million passengers. This indicator exceeds the same indicator of the previous year by 10 percent. 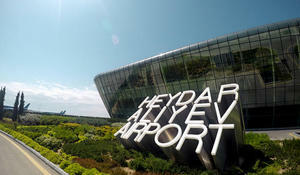 The aircraft of Turk Hava Yolları company operating the first flight from the new Istanbul airport has landed at the Heydar Aliyev International Airport. 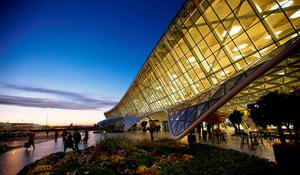 The Heydar Aliyev International Airport of the Azerbaijani capital has been listed among the top three unusual airports in the world, according to a Hi-Tech Mail.ru report.